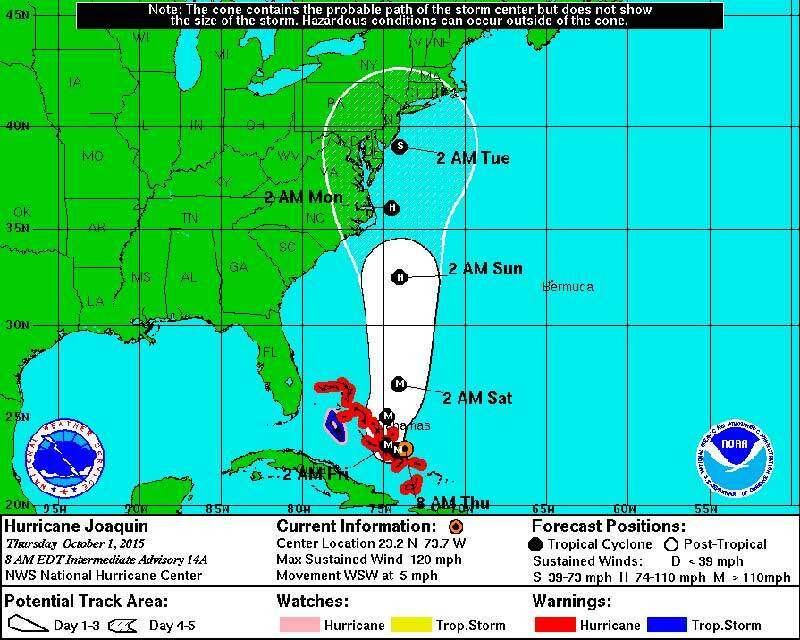 Hurricane Joaquin is causing disruption for some cruise lines operating in the Bahamas. The good news is that the category 3 Hurricane is heading away from popular cruise destinations. At the moment the Hurricane has maximum sustained winds of 120 MPH and the central part of the storm is near Samana Cays in the Bahamas. The National Hurricane Center in Miami has tracked that the storm will move north away from the region over the weekend but could pose a threat to the U.S. East Coast. Several cruise lines have been forced to adjust itineraries and below are the details which could change again. Some details have been reported on Cruise Critic with other being updated via Social media. Carnival Pride’s call to Half Moon Cay in the Bahamas on October 1 has been changed with a day at sea. The ships 7-Day Eastern Caribbean cruise will continue which departed Baltimore. Carnival Valor’s scheduled call the Grand Turk in the Bahamas has been changed with a day at sea on October 1. The rest of the Eastern Caribbean cruise from Port Canaveral will continue as normal. @jdeigs77 The Carnival Valor cancelled the call in Grand Turk due to adverse weather conditions. She is now having a fun day at sea. 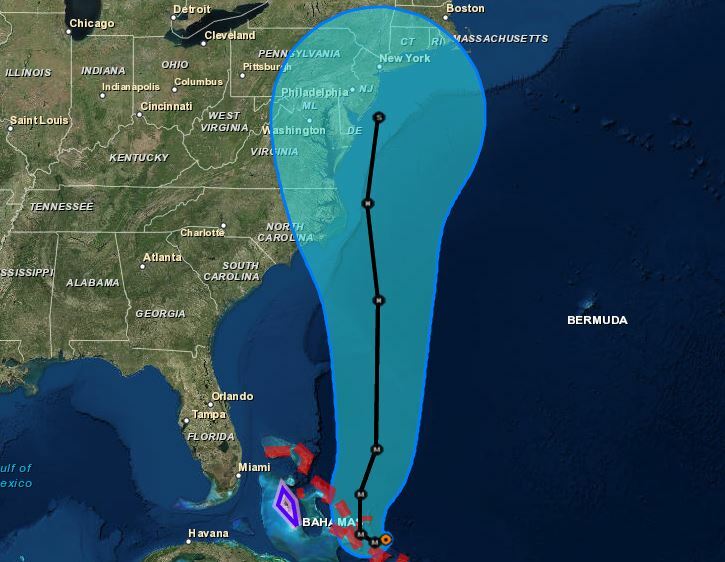 Norwegian getaway is another cruise ship affected by the large category 3 Hurricane. The ship scheduled call at Nassau on October 2 has been replaced with a day at sea. No other changes on the 7-Day Eastern Caribbean cruise which will be back in Miami on October 3. Royal Princess is also being affected with calls to the Bahamas. The ship won’t be calling at it’s private island of Princess Cays in the Bahamas on October 2. Other cruise lines are keeping an eye on the storms developments and Cruise Hive will keep readers informed on any new updates from them. Hurricane Joaquin is a powerful storm and there are currently Hurricane watches for the entire Bahamas. The Hurricane can cause heavy rainfall, strong winds and high ocean swells. You can take a look at our Hurricane Tracker for any developments concerning Hurricane Joaquin and any other storms in the region.